This is a series of articles about the team that started the very first league game against Newcastle United in 1893/4. If we had trouble with David Howat in the last article, this one is even worse. He is recorded as first playing for Elderslie Rangers Swifts. Elderslie is a village in Renfrewshire, situated round about midway between Paisley and Johnstone. One article notes that it is about 11km from Ibrox Stadium. Here’s another snippet (to show how much I am scraping around to find anything to say about Gemmell): “football pitches are located at Old Road and Glenpatrick Road although it appears only the grass pitch is open to local use, the “blaes” pitch out of use now the Stoddard factory has gone, and been replaced by a new grass pitch. There is a children’s play park beside the other grass football pitch.” That’s from the Wiki article on the village. After this he moved to The Wednesday. The Wednesday were elected straight into the first division at the end of the 1891/2 season, when the league split into two divisions, so Gemmell was there at the start of their league career, and The Wednesday records show that in 1892 he played three league games for them. After that he went to Woolwich Arsenal where he remained from 1892-4. He played the first five games of 1893/4, and nothing more. Given that he neither played any more games for Woolwich Arsenal nor transferred (even to a small non-league team, as some of the players here did) we might guess that his embryonic career was either stopped or at least seriously curtailed by injury. 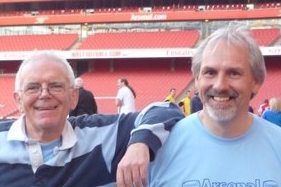 And on that theme it is interesting to note just how many players in the starting XI only played for Woolwich Arsenal in this one season: Williams, Jeffrey, Devine, Buist, Gemmell, Elliott, Booth. I find that a real insight into the times. Seven of the men who played in our first ever league match, only played for us in the 1893/4 season. 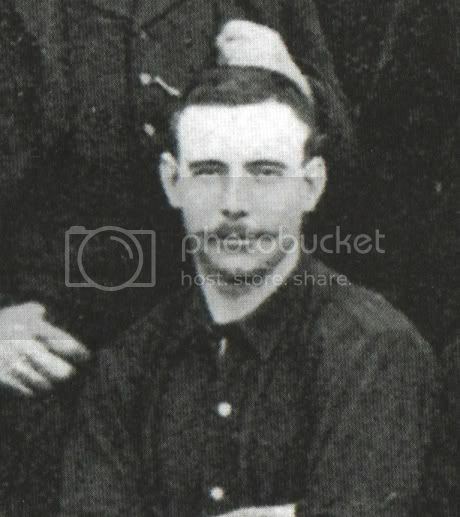 Only Joe Powell made it into the 1896/7 season. Here is what Duncan looked like in November 1892. He was a an iron bridge builder by trade. In 1891 he was boarding in Sheffield and by 1901 he was back in Glasgow living with his widowed father and siblings. In some censuses his name is spelt Gemmel (only one l). According to Tony Matthew’s Who’s Who he left Arsenal for Heanor Town but after that, who knows? Like most players (and I guess people in general) he was quite small compared to today’s players – 5′ 5″.